I think I'm going to catch up on all these nice threads. Sorry about seeing my ugly mug everywhere. I received a hand-written letter in the mail the other day, post-marked from one town over where I used to live. I thought it might be a letter from an old friend or relative, but it turned out to be from a Witness. I'd never seen a personal note on notebook paper from a JW before. They did include a small pamphlet with the letter, so there was no confusion they were just being nice. Btw, my best friend from next door is a JW, but he doesn't go out soliciting and only goes to the Kingdom Hall on memorials, as far as I know. Pretty chill dude. We just don't celebrate holidays or birthdays together. The pointy pinky toe on my left foot annoys me. Molly is a complete and utter wuss; but she hates door to door preachers with a passion. She stands on her back legs, looks down on them at the door, and goes ballistic describing the ways she wants to eat them and looking like she'll come through the glass. I've been blacklisted by Jehovah's Witness and the Mormons. Good girl. Oddly, she likes the UPS guy, he brings Greenies and dog toys. Anybody remember this little gem? Pablo Picasso's 135th birthday was a few days ago. I chose a Halloween costume in his honor. That looks like it was a lot of work. @Lindy - The Picasso costume is wonderfully creative! When I was browsing the forum earlier, I noticed the threads "Crappy Food" and "Pointless Advice" had been posted in recently, and for a brief moment my mind read them together as "Crappy Advice", and I realized what a completely terrible idea for a thread!!! My “Crappy Advice” is an exclusive deal for an exclusive client. I only cater to myself. I just shake my head at this latest masdacre in the Ca bar. This moronic belief that everyone has a right to bare arms is so sad. Feel for familues and innocent. At this rate I can only whish thst this attitude continues and everyone kills themselves. I don't wish this really just making a point. 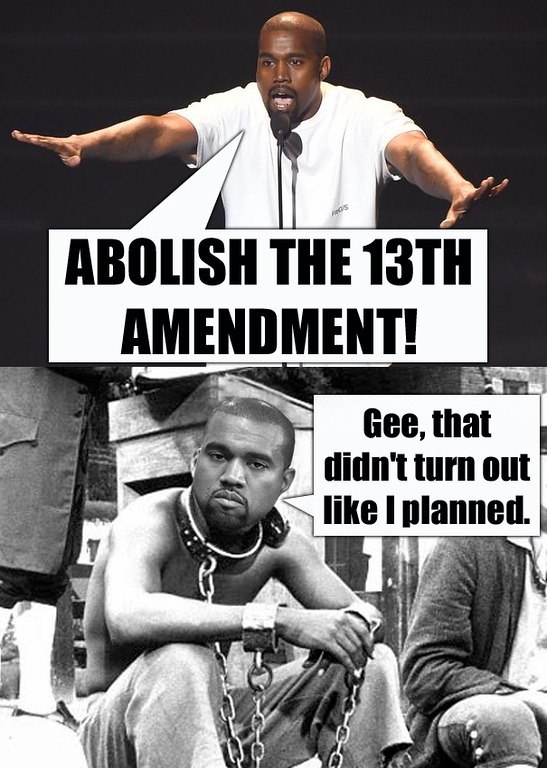 The other day, I, and my fellow statesmen voted to abolish slavery in my state. What have you done for freedom lately? What have I done for freedom........ trying to get divorced, leave the wife and kids. Its a joke. Not really getting a divorce. It depends on where you live. In my country there is no slavery (only that what wife bestows on her husband). What is your definition of slavery (and not the dictionary or wiki version). Had some password problems and @cynthetiq fixed the Kaptcha so I could get back on.